Twenty years later, Jane is an archivist at a small London museum that is about to close for lack of funding. As a final research project--an endeavor inspired in part by her painful past--Jane surveys the archives for information related to another missing person: a woman who disappeared more than one hundred years ago in the same woods where Lily was lost. As Jane pieces moments in history together, a portrait of a fascinating group of people starts to unfurl. Inexplicably tied to the mysterious disappearance of long ago, Jane finds tender details of their lives at the country estate and in the asylum that are linked to her own heartbroken world, and their story from all those years ago may now help Jane find a way to move on. Upon finishing this book I was really relieved, only because I felt the story was about 50-60 pages longer than it had to be. Usually I do not like reading books set in other countries mainly England and the reason is because as I’m reading I take on an English accent, even in my head. I didn’t really start enjoying this story until the “mystery” happened. After that I was hooked on the story and trying to figure out exactly what had happened or what would happen. Through the first half of The World Before Us I kept thinking I knew what was going on, but then my theory would blow up in my face as certain things were came to light. However, I was able to figure out the plot by page 305. 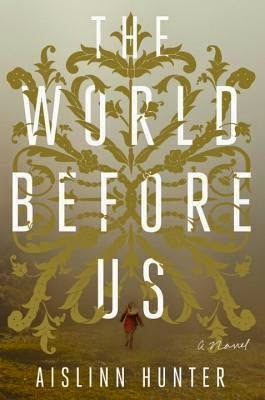 It took me a little longer to read The World Before Us compared to other books, only because some of the paragraphs within the chapters were a little longer than most.